The Panasonic Lumix DMC-GH4K is a premier DSLR capable of 16 megapixel still images and stunning 4K video. Using a brand new processing engine, this supercharged camera can take dozens of crystal clear high definition photos and videos before you can even take your finger off the shutter. The DMC-GH4K is an extremely powerful tool, though it presents itself as a camera for video than for photos. Professionals looking for a still image solution might feel left behind. The DMC-GH4K is a bit bigger than the competition, measuring in at 5.23 x 3.68 x 3.3 inches and weighing in at a hair shy of 17 ounces. The camera molds well to the hand and, thanks to the magnesium alloy body, feels lightweight and comfortable. The camera sports a 3" LCD which can swing, pivot, and turn in almost any direction. Images taken with the 16 megapixel sensor are, simply put, stunning. The camera provides improved light sensitivity, color reproduction, and an increased signal speed to prevent "rolling shutter" effects. The real draw of the DMC-GH4K is its 4K video, which it can record at up to 30fps. The built-in controls let you tweak and customize your recordings in almost any way imaginable, including many that were requested from the GH3. The DMC-GH4K is rated for about 500 photos. The super-fast image processor means you won't have to worry about this camera's performance - you're more likely to be limited by the speed of your SD card. The autofocus will showcase a subject in 0.07 seconds (compared to the GH3's respectable 0.09 seconds), meaning you can pick up the camera and snap a clear shot in an instant. 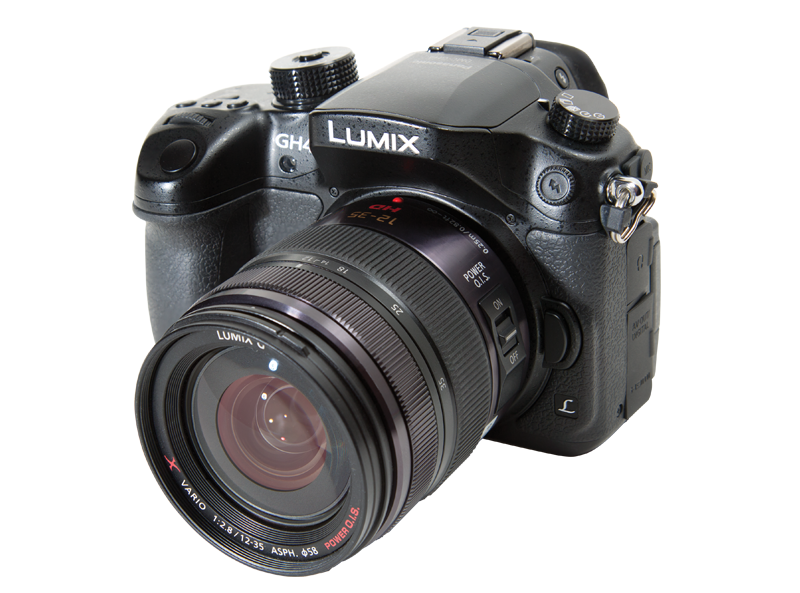 Designed with the expert in mind, the Lumix DMC-GH4K is the premier DSLR for professionals and fanatics. Its stunning still images will turn heads, but it's the crystal clear 4K video that will really blow minds.